People the world over crave entertainment that’s exciting, tragic, bone-breaking and brutal, with a little bloodshed thrown in for good measure. Don’t believe me? 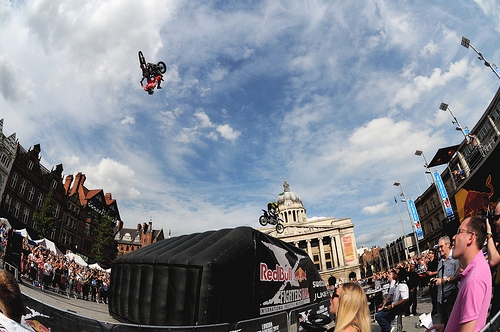 Viewer trends support the popularity of extreme sports shows. There is a definite transition taking place, from our classics like marathon running to extreme mud running. Today we don’t only see world renowned athletes taking part in these kinds of events but the average Joe or Jane as well. It makes for a pleasant change from mowing the front garden and calling it exercise. But what is it that makes a sport ‘extreme’? Is it the risk of planting your face into sand or snow and waking up in a hospital? Is it that you might lose control of your motorbike or BMX, watching it crash to the ground moments before you do? Maybe you’re an extreme diver, relatively far below the surface of the water when you steal a glance over at your meter only to find your oxygen tank waning. Is Extreme Sports about the fact that no-one before you has had the nerve to defy limits, ignoring what boring folk might consider to be ‘dangerous’. Is it about testing yourself beyond what one would consider, safe or mentally sane? Maybe it’s the thrill of pure defiance, like that one time when you were six and your mom told you to stay close to the curb, but you rode out into the traffic without looking back- only to find yourself holding the 2011 X Games BMX Gold Medal a couple of years later? Maybe words like ‘jet-propelled’, ‘free fall’, and ‘ultimate’, or even ‘no limits’ and ‘outrageous’ are the subjects of breakfast conversation in your home? We all have our own idea of what an extreme sport should be, but few would argue that the best place on earth to spectate extreme sports is the X Games. 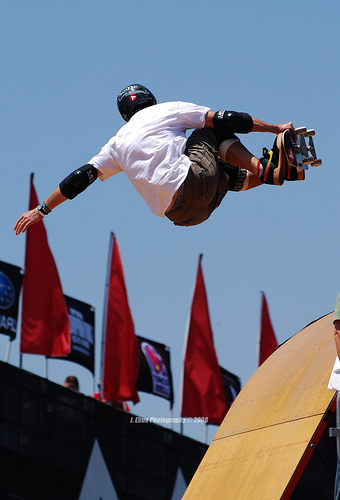 Arranged by U.S. broadcaster, ESPN, the X Games has both a summer and winter contest. It doesn’t matter where you find yourself on our fair planet; the X Games appeals to everyone with an interest in Extreme Sports: there isn’t a limit or preference to one kind of sport. The line-up for Winter X Games 14, starting on January 26th in Aspen, Colorado and concluding on January 29th is already available on ESPN’s webpage. Events and competitions are accessible to both men and women. A fine selection of coveted athletes from around the world are individually invited to compete for the title of Winter X Games Medalist in their respective sport. Events run throughout the day and in the evenings and contain elements of skiing, snowboarding and snowmobiling (much like a jet ski on ice). The Winter X Games makes for a pleasant and exhilarating build up to the Summer X Games, expected to be held later this year. If you have the time, money, resources and nerve at your disposal, planning a flight to Aspen could be your next breathtaking stunt. This entry was posted in Colorado, Travel, United States, Winter Sports and tagged 2012, X Games. Bookmark the permalink.